Evinrude 100 hp Direct Injection decal set replica for 2004 to 2005 White model Outboards. - 0215287 DECAL, "BOMBARDIER" F/R. 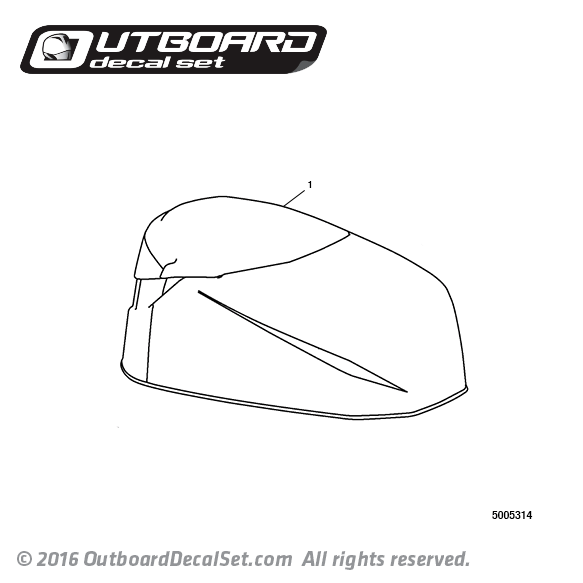 - 0215288 DECAL, "EVINRUDE" Port/Stbd. - 0215290 DECAL, Stripe, Port. - 0215289 DECAL, Stripe, Stbd. - 0215554 DECAL, "DIRECT INJECTION" Port/Stbd. 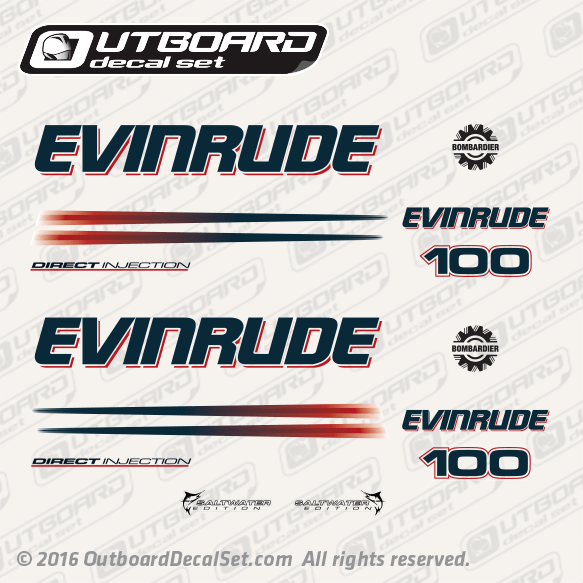 - 0215279 DECAL, "EVINRUDE" F/R.